Before you buy bitcoins or any other altcoins, you need a good wallet to safely store your new digital money. You can store Bitcoin on a hardware wallet, a mobile wallet, a desktop or a web wallet. Most wallets are multicurrency wallets so you can use them for a variety of Altcoins. It is strongly advised not to store your cryptocurrency on an exchange, only on a dedicated wallet that you own. What does a Bitcoin wallet do? A Bitcoin wallet lets you receive bitcoins, send bitcoins and store them for short or long periods. Nowadays many wallets have other features like markets info, trading options and more. What are the main types of Bitcoin wallets? Two main types are a hot Bitcoin wallet and a cold Bitcoin wallet. Each has its pros and cons. You can read more about types of Bitcoin wallets here. Why hardware wallets are considered the best option? Hardware Bitcoin wallets have some major advantages over software wallets, mainly the fact that your private keys are stored offline. Read more about hardware wallets here. Web Wallets are very convenient, but keep in mind that your private keys are stored by a third party. With a desktop or a mobile Wallet your private keys are kept only by you, however they are conected to the internet and can be hacked. Those two types are mostly good for keeping and dealing with small amounts on a daily basis. It is strongly recommend using a hardware wallet. Hardware Bitcoin wallets are the safest wallets available. Ledger Nano S and TREZOR are currently the finest hardware wallets on the market, and both support nearly two dozen cryptocurrencies. The Ledger Nano S is currently one of the best if not the finest hardware wallet with a screen. It can be used on any desktop computer or Android smartphone. Read Ledger Nano S wallet full review. TREZOR (lunched on August 2014) was the first Bitcoin hardware wallet that offered secure cold storage plus the ability to spend coins with the convenience of a hot wallet. Read TREZOR wallet full review. 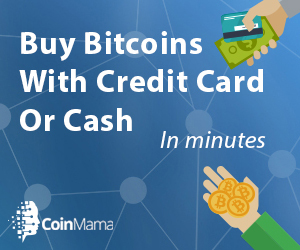 After you choose and install the best wallet for you, you can learn about the common payment methods for buying bitcoins.